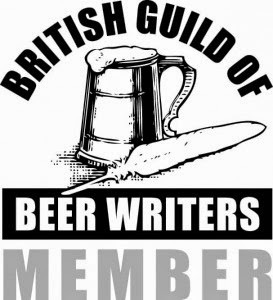 The London beer scene reached a tipping point last night as pretty much every award at the British Guild of Beer Writers dinner was scooped by a London based journalist or beer writer. After a marvellous beer matched dinner the evening started its nod towards the Capital when it was announced that Evin O'Riordain from Kernel Brewery was named the Beer Writers, Brewer of the Year. Evin launched his brewery in the railway arches of Bermondsey about two years ago and has never looked back, picking up award after award. His bottled IPAs, stouts and porters are unbeatable and the recognition is well deserved. A few moments later, as Des de Moor picked up the next award for his London's Best Beer, Pubs and Bars Guide, it was becoming clear that it was going to be a night for London and I was on my feet leading a chorus of "maybe it's because I'm a Londoner !" There quickly followed prizes for Mark Dredge for his work on beer and food, the corporate communications award went to honorary cockney, Pete Brown, Mark Charlwood (sp ?) won silver in the on-line category for his beerbirrabier blog and the gold was scooped by Martyn Cornell, London's eminent beer historian. Glynn Davis won an award for trade press and the Beer Writer of the Year was once again, Ben McFarland. A clean sweep for London ! Only a couple of years ago, the London beer scene was on its knees. Our breweries were closing, flats were replacing pubs and cities like Derby and Sheffield were leading the vanguard of the microbrewery and craft beer scene. Beer lovers in London were forlorn and the rest of the nation was puzzled as we took comfort in championing each new micro that opened. Every one was a winner, Sambrook's, Redemption, Kernel, Camden Town et al. Every one well received. A few pubs started changing, Cask, Craft, Rake, Southampton, Butcher. I don't have to name them all. 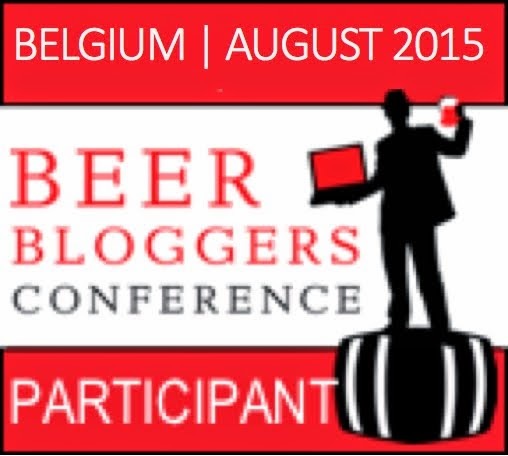 Each and every one becoming a destination boozer. My latest list of London brewpubs, micros, craft and family brewers now numbers 28 operating or coming very soon. The London beer scene is back and vibrant and I am chuffed as punch ! Thanks also to Black Sheep Brewery who invited me to the event as their guest and for their warming Black Sheep Imperial Russian Stout which was supposed to be taken home but never got beyond the coffee - delicious.